Waking up in the morning and being able to enjoy a great cup of espresso is one of the best simple joys in life. A great shot of espresso can certainly clear your mind and make you ready for the day ahead. To do that, you will need a great espresso machine. The good news is, you can get an excellent espresso machine for just under $200. Now the question is, which espresso machine under 200$ should you go for? The answer is the DeLonghi EC702 15-Bar-Pump Espresso Maker. To prove it, keep reading this article. 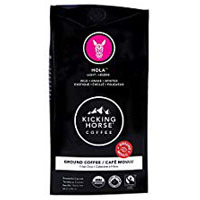 This espresso machine has a durable, high quality, stainless steel boiler with 15-bar pump pressure that ensures the espresso maker produces proper espresso. It features an ESE filter which will help make brewing fast and hassle-free. At first glance, this espresso machine will look like a machine you’d find a coffeehouse. That’s how well designed it is. 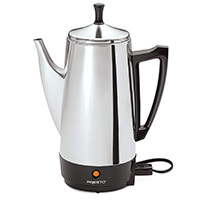 It has a stainless steel construction that is not only sleek and easy to clean, but will also add durability to the espresso maker. The 15-bar pump pressure will produce an authentic shot of espresso and a wonderfully thick crema. The boiler is stainless steel and is designed to heat quickly and evenly. On the side of the machine, you will see the frother. The first thing that came to our mind when we saw this is that it was well thought of because it adds to the convenience. In most machines, they have a steaming wand or nozzle on the front of the machine, which isn’t always convenient and will mostly get in the way. That’s why we think that this espresso maker is well designed because the frother was off to the side, so you can brew your shot without having to worry about the pitcher getting in the way. Best of all, the frother will produce a nice foam, so you can whip up cappuccinos with ease. 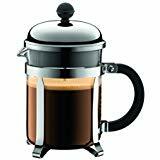 As mentioned above, what makes this espresso maker special is that it uses the DeLonghi’s patented cappuccino system frother that will allow you to make rich, creamy froth for cappuccinos and lattes. It also has a 44 oz removable water tank and anti-drip design. These features will make both re-filling and cleaning the espresso machine hassle-free. Plus, it has two separate thermostats built in that will allow you to separately control the steaming and espresso brewing functions. That means that you can brew a shot and steam at the same time. Or as another option, you can brew back to back without worrying about over-extraction. What makes this feature great is that it can be very convenient when you are entertaining guests. The DeLonghi EC702 15-Bar-Pump Espresso Maker has a one year warranty that starts from the purchase date found on your receipt and applies only to the original purchaser for use. DeLonghi warrants the espresso maker to be free from defects in material and workmanship. Their obligation under this warranty is limited to repair at their factory or authorized service center of any defective parts or part thereof, other than parts damaged in transit. 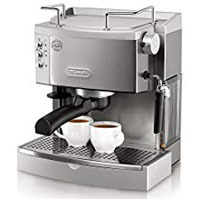 The DeLonghi EC702 15-Bar-Pump Espresso Maker is just like any other bar pump espresso machine in that you need to break it in, before you can enjoy a delicious shot of espresso. It’s a small, inexpensive and compact espresso machine that is well designed. All the features will allow you to brew espresso shots conveniently. It’s not overly fancy, but it does deliver a nice espresso and makes a good latte and cappuccino. It’s best espresso machine under $200.